FEW would have believed that the taciturn, austere General Muhammadu Buhari had a soft-smiling and sweet woman at home, Aisha. Not much is known about the retired General’s wife. She has remained in the background despite her husband’s larger-than-life status in the society but could now impose a very different style from the current First Lady, Dame Patience Jonathan at the Presidential Villa, Aso Rock in Abuja, after the victory of her husband at the last presidential election. Although during the early campaign of the new president elect, there was no sign of a woman with him, creating the fear that he might not be women-friendly. That was when the picture of his wife appeared on the social media and she turned out to be a stunning beauty. Little wonder, not much is known about the First Lady-elect other than a few details in the media: she is 44, married to her 72-year-old husband in 1989 after he divorced his first wife, Sefinatu, the previous year, and they have five children together. However, meeting Aisha for the first time, you cannot but appreciate her cool mien, humble personality and cheerful nature. 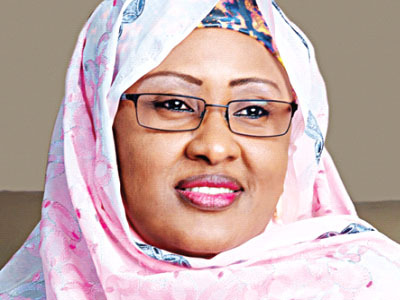 With the entry of Aisha Buhari as Nigeria’s in-coming First Lady, it appears that the Adamawa-born beautician will bring calm and harmony to the Presidency. Mrs. Aisha Buhari is a thorough professional and an alumnus of the famous Ahmadu Bello University, Zaria where she earned a Bachelor’s in Public Administration. 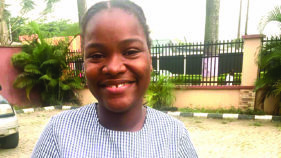 Her quest for more education took her into the field of Physiotherapy and beauty therapy. She is also an alumnus of the famous Carlton Institute of London and the Academy Esthetique Beauty Institute of France, Dubai, where she earned post-graduate diploma in cosmetology and beauty therapy. Following her certification in beauty and Permanent Make Up, Mrs Buhari engaged in private enterprise where she has since become an employer of labour, a mentor to all aspiring cosmetologists and a consultant to the KRCP/NNPC on skills acquisition. Mrs Buhari is a member of the United Kingdom Vocational Training and Charitable Trust (VTCT), The International Health and Beauty Council (HBC). A devout Moslem, Mrs Buhari is currently a graduate student of International Affairs and Strategic Planning. Her immensely popular daughter, Zahra, has also helped to boost her image in the eyes of the public. Abuja popular socialite, Yeye Bola Dare has perfected all arrangements to celebrate the life and times of her late mother to high heavens. Yeye Dare who is well versed in grassroots politicking, has rolled out the drums to attract top socialites, politicians and business moguls among other personalities to the grand burial. Typical of all parties thrown by the woman is always an assortment of delicacies, vintage wines and we can tell you for free that this forthcoming party will not be exceptional. 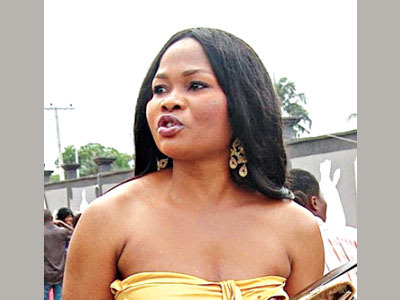 Over time, Yeye Dare has become popular for her work with some first ladies in Nigeria. Her contribution to the re-election bid of President Goodluck Ebele Jonathan as the Director of Strategy and Logistics of Goodluck Solidarity Group (GSG), is considered immeasurable by some people. 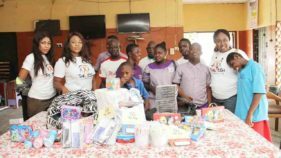 Besides this, she is also popular with her work in charity through her orphanage, Mother Theresa Children’s Home which she runs in Gwarimpa, Abuja. She is a lady that wields a lot of power in Abuja and close to the first lady, Dame Patience Jonathan. So powerful is the former media practitioner that she could be referred to as ‘Madam fix it’ in the capital city of Abuja. Not only is she ‘madam fix it’, the vivacious woman has been dubbed Mother Theresa, thanks to the orphanage she runs that has given her a trade mark. Yeye Bola Dare takes delight in giving life and hope to the less-privileged children whom she named after world presidents and past Nigerian leaders. Her involvement in philanthropy is not unconnected with her calling to be mother of many children. 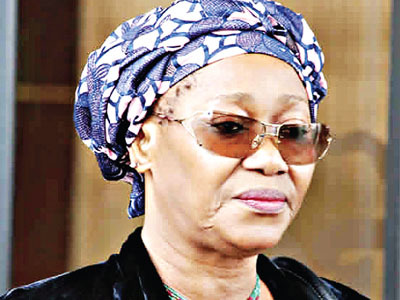 The whereabouts of Farida Waziri, the ex-Chairman of Economy Financial and Crime Commission (EFCC), is still a major concern to many. The ex former top military brass has become a recluse after her unceremonious exit from the anti graft commission. At a time she was said to have relocated abroad for further studies while close sources claimed that Waziri only decided to maintain a low life style following what the outgoing administration did to her person and also halted her several unfinished assignments at the commission. Waziri was removed from her position by President Goodluck Jonathan on November 23, 2011 and replaced by Ibrahim Larmorde as acting chairman. Her dismissal may have been related to accusations that the EFCC had been selective in its investigations, or to her falling out with the Attorney-General and Minister of Justice, Mohammed Bello Adoke over the prosecution of cases that were brought before the court. After leaving office, there were reports that Waziri was considering writing a book about her experience at the EFCC which is believed to have been published. If you think that the former Managing Director of Union Bank, Funke Osibodu is concerned about corporate wears alone because of her banking career, you had better change your mind. This is because lately, this very respectable woman of substance, is now more visible on the social scene years after her successful reign at Union Bank Plc. What happens is that from Monday to Friday, you will find her putting on suits at corporate events, but at weekends, you will find her in Iro and Buba, when she is attending any of the ‘owambe’ parties which is fond of attending. Osibodu was the Managing Director of MBC International Bank and Ecobank Nigeria Plc and later joined the board of the Ecobank Transnational Incorporated (ETI). She was a couple of years ago named by Financial Times of London as one of the World’s 50 Leading Businesswomen. She was the only African woman and Nigerian that made the list. According to the global jury of experts constituted by FT, she was chosen in recognition of her achievements at Union Bank. 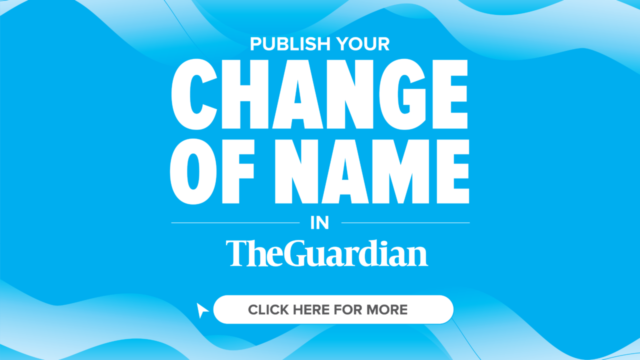 The jury said: “Osibodu was responsible for strengthening the management of the bank, improving discipline and ensuring transparency.” The industry is still watching her next move with keen interest; no doubt she will be courted by boards of leading companies to serve in advisory capacity. Silverbiird TV presenter, Adaure Achumba has stepped up her game big time by becoming one of the beautiful presenters of Arise TV in the United Kingdom. She is the official correspondent in Nigeria who relates the day to day happenings in the entire country especially Lagos and Abuja to the channel. Arise TV is owned by Thisday Newspaper Publisher, Nduka Obaigbena and it’s Nigeria’s second 24 hours news channel which airs on DStv after the defunct NN24. Achumba is a well-travelled multi media journalist and public speaker, having served in various capacities not limited to anchoring, producing and news reporting for 13 years. She has remarkable skill in hosting live and impromptu appearances with ease. 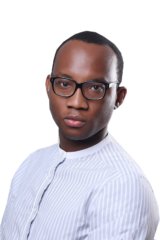 The award winning journalist on leaving STV, worked briefly with E.TV, a South African based TV before joining the team of Arise TV. Surprisingly, the screen belle had quit Silverbird unannounced while the going was still good as one of the famous faces on TV with Today on STV and Hot Lens,. 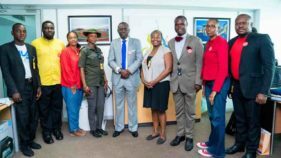 While fans of the University of North Carolina, United States graduate may be wondering about her whereabouts, we can authoritatively reveal that Adaure has decided to join the London based TV. Although she has been frequently seen with a cameraman covering different events of recent, she often fudges any form of question concerning the medium she is representing. 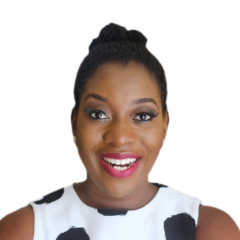 While a bird in the known claims that Adaure has pitched her tent with Arise TV, a hint within has it that she is looking forward working with CNN soon. Timi Alaibe, the much loved former Managing Director of Niger Delta Development Commission has once again jumped into the political fray of Bayelsa State. Alaibe will be slugging it out with former governors, Dipereye Alamieyeseigha and Chief Timipre Sylvia on the platform of the All Progressives Congress to wrestle power from incumbent Governor, Seriake Dickson who is presently working day and night to return to Creek Haven, Bayelsa Government House for second term during the 2016 governorship election in the state . 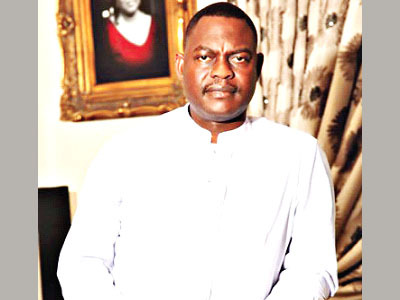 A source said Alaibe is eyeing the governorship seat. His plan is to make a grand capture of the seat of power in 2016. To this end, he has been holding a series of meetings with some APC stalwarts. Many believe Alaibe is the best man for the job because of his success in the region. Alaibe was mutually agreed as best choice for the plum job as a result of the big role he played in securing the release of incarcerated Niger-Delta leader, Henry Okah. Okah had been clamped down into detention as part of government’s attempt to shut down arms flow into the volatile Niger-Delta area. His release greatly resisted by the federal government, was one of the conditions the rampaging militants gave before entertaining any talk of truce with the federal government. None of the respected leaders in the area was able to secure truce between the government and the militants in the area until Timi entered the fray. He put into play the immense goodwill he enjoys among the stake holders in the region and beyond to achieve his aim. The entire Bayelsans and other stakeholders expect him to put into play such muscle when he becomes Bayelsa State governor. His competence at the commission had transformed him into an indispensable rallying point of the youth, women, elders in state and others in the region and at the international level, where he ceaselessly championed the cause of the Niger-Delta people. Investigation revealed that before he took up the NDDC job, he was a banker of repute. He served as Vice President of the Cosmopolitan BancShares in 1994, and later General Manager, Corporate Banking and Investment at the defunct Societe Generale Bank. Taiwo Afolabi is one man who does not blow his trumpet. Afolabi is a silent achiever and a quintessential role model who bestrides the Marintime industry like a colossus.You would not but be struck by Afolabi’s sense of simplicity on meeting him for the first time. This is because he is a man who holds a simplistic view of life and he does not see any big deal in his achievements. Indeed, the story of SIFAX Group cannot be told without Dr Taiwo Olayinka Afolabi, the founder of the company. An Ijebu indigene,Afolabi was born in Ondo, and had his primary education in Ondo and his secondary education at Baptist Grammar School,, Ibadan. For his tertiary education, he attended the University of Lagos where he studied Law. He worked briefly with the Nigerian Express Agencies Limited before traveling abroad to study shipping management. On his return, he established SIFAX Group, a company that has become an institution in Maritime Services. A seasoned marintime cosultant, Afolabi is a fellow of the Nigerian Institute of Financial Management, and fellow of the Nigerian Institute of Frieght Fowarders of Nigeria. By dint of hardwork, Afolabi has become a phenomenon of some sort in the industry and has been richly rewarded with a harvest of awards. The 52-year-old is a well trained professional with over 20 years cognate experience in the maritime and shipping industry. No doubt, his wealth of experience has successfully steadied the feet of the Sifax Group. For his exceptional performance and contributions to the shipping business and national economy, he was recently given an honorary degree of Doctor of Philosophy in Technology by the Ladoke Akintola University of Technology (LAUTECH), Oyo State. 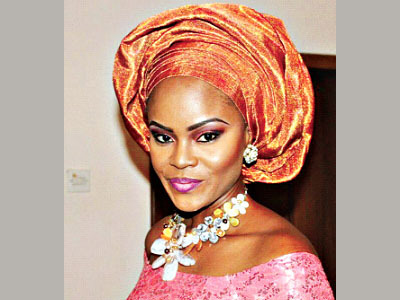 The name, Eunice Efole not only radiates class, it brings forth glitz and glamour. The hardworking Edo State-born lady, who rose from her humble beginning as a quiet and easy-going lady doing her business on the streets of Ikeja, Lagos, has risen to the enviable position of one of the top players in real estate, construction as well as oil and gas with her business concerns spread all across the country and even beyond. Today, she has re-invested all her strengths and contacts which she has built over the years in her registered companies all over the country. This singular act of hers has earned her so much respect and dignity, but it is her finances that have most witnessed an astronomical upsurge in the last few years to the admiration of her friends and foes alike. When she completed her twin mansions in Lekki, Lagos years back, most ladies who are in her age bracket were in total awe of the interior of these magnificent structures. To put it mildly her taste encompasses grandeur in its totality. But unknown to the Lagos social establishment, this gorgeous Edo-born lady has since conquered the Federal Capital Territory, Abuja business scene and is pulling in the mega contracts in droves. Reputed as a very influential social lady, she has successfully transformed her links to business-oriented projects and her hard work is being rewarded handsomely by the powers that be in Abuja. Her business dossier is one to beat and copy; from formidable senators who chair very viable committees in the upper legislative chamber to top ministers with lucrative portfolios, she has them as her business partners. That she is one of the best dressed on the social scene is not in doubt as she does vintage handbags better than most super models on the global radar: from Gucci to Balenciaga to Escada to Zagliani to both Hermes Kelly and even Hermes Birkin, Eunice has them all. Her jewelry has truly become a sight to behold as she has seriously stepped up the game in the precious metal and gemstones department. Unlike other ladies who live a very superficial lifestyle by renting luxury apartments and living their flamboyant lives on credit, Eunice has joined the likes of Erelu Abiola Dosunmu and Bola Shagaya with high-profile structures being erected all over town in the most viable streets because to her that’s the only way her old age is guaranteed. A great football fan, one good trait of Eunice she has going for her is her down-to-earth nature. Unlike those who walk with their noses up in the air, Eunice would readily greet anyone and eat even in the local buka next door, for she knows where she stands in the scheme of things and where she is also headed to in a few years’ time. We further learnt that those who are peddling bad rumours about her are those who are no match to her and simply jealous of her success.